These pages include the history of the Marin County Fire Chiefs Association and Sections: Operations, Training, and Fire Prevention. See menu. 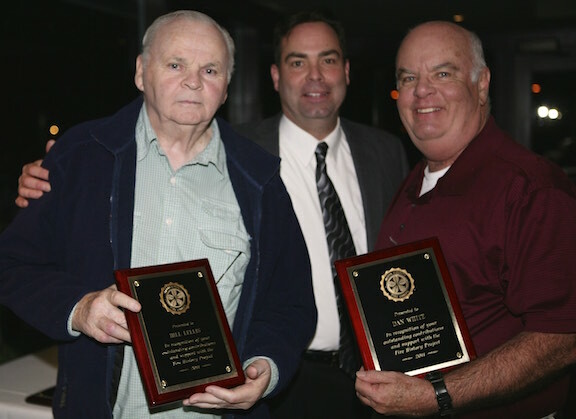 February 2012: MCFCA President Mark Horick of Skywalker Ranch presented plaques of appreciation to retired Larkspur Chief Bill Lellis (l) and Dan White (r) for their volunteer work on the MCFCA Historical Committee. 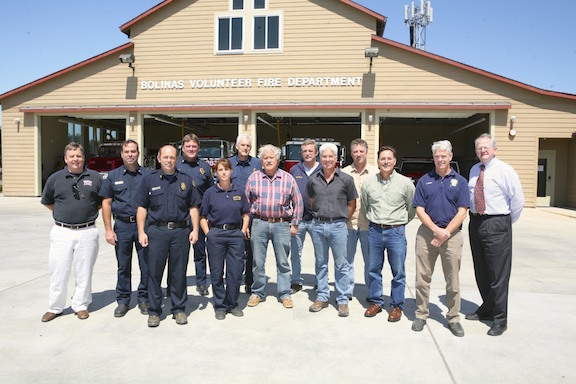 Bill has completed and continues to do a great deal of research, and leads biographical video interviews of Marin fire service veterans, while Dan Has volunteered to do much of the videotaping. Photo by Maureen Forster. 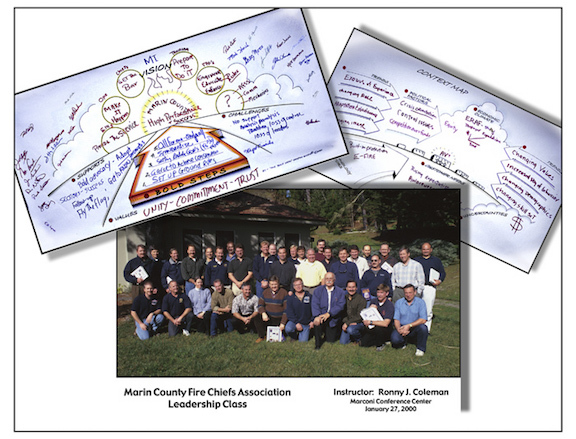 A collage of planning charts and the group photo from a Leadership Class taught by Chief Ronny J. Coleman at the Marconi Center in Marshall in 2000. Photo by Tom Forster, collage by Maureen Forster.